After ‘The God of Small Things’. Arundhati Roy, the novelist, is a distinguished Delhiwalla and The Delhi Walla is happy to read the news just tweeted by Simon Prosser of Hamish Hamilton, Penguin Books–“Announcing big news this morning! 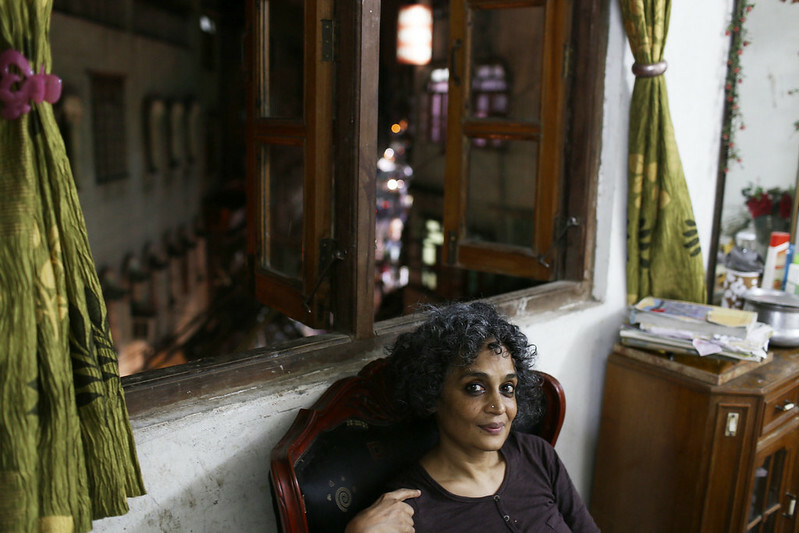 We will publish ARUNDHATI ROY’s new novel THE MINISTRY OF UTMOST HAPPINESS in June”! Hamish Hamilton UK and Penguin India are proud to announce that they will publish THE MINISTRY OF UTMOST HAPPINESS by Arundhati Roy in June 2017. It is her first work of fiction since THE GOD OF SMALL THINGS, which won the Booker prize nineteen years ago in 1997. SIMON PROSSER & MERU GOKHALE: ‘To publish this book is both a pleasure and an honour. What an incredible book it is—on multiple levels; one of the finest we have read in recent times. David Godwin is Arundhati Roy’s literary agent.